We’d love your help. 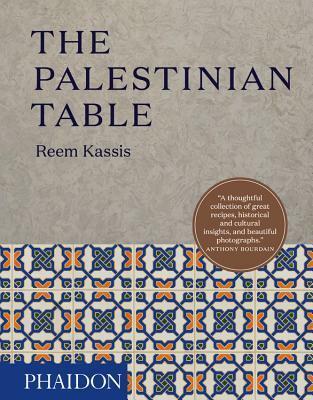 Let us know what’s wrong with this preview of The Palestinian Table by Reem Kassis. 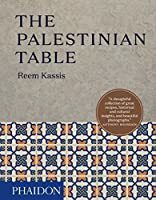 To ask other readers questions about The Palestinian Table, please sign up. I judge any book by how well it transports me to the setting regardless of it is fiction, a biography or in this case, a Cookbook. I felt as if I was walking the streets and selecting my ingredients and then eating them with her family at their table. If you enjoy learning about other cultures I highly recommend this as a must read. If you enjoy cooking you will really appreciate the unique recipes. The text is clear and the anecdotes are charming and interesting. Kassis definitely knows her way around the kitchen. So why only three stars? First, the size of the type listing the ingredients is SMALL! I needed a magnifying glass to read them. When cooking, it was simply inconvenient to refer to. One might want to copy out the ingredients by hand. And then there is the color of this small font. It seems pale; one; a bold typeface seems more logical. While this book is definitely worth owning as an addition to Levantine cuisine (Aside: The Levant is an older and simpler way to refer to Syria, Lebanon, Jordan, and Palestine. The local regional differences in cuisine are interesting, but minor. ), Helen Corey's 1962 book, "The Art of Syrian Cooking" is (IMHO) still the "Bible" of Levantine cuisine. This cookbook has quickly become one of my favorites. It shares the stories of resilience among the Palestinian people and the many ways that food brings them together for comfort and strength. Every recipe I have made thus far has been added to my "Cook Again" list. A cookbook featuring Palestinian recipes charts not only the history of the author's family but her own personal history. The recipes feature fresh Mediterranean ingredients making for delicious food. Many of the recipes in here are slightly different than my own family makes and they're always delicious. Love! Beautiful book. Many recipes that I am eager to try. A lovely book in every way. The recipes are simple and unpretentious, with small ingredient lists, and I can see myself actually cooking them. They look delicious yet attainable in the beautiful photographs by Dan Perez. Reem Kassis weaves in anecdotes of her Palestinian family and their excursions during her childhood to pick ingredients in the mountains near Jerusalem. We feel the warmth and love of family, but she never stoops to using the book as a political platform.